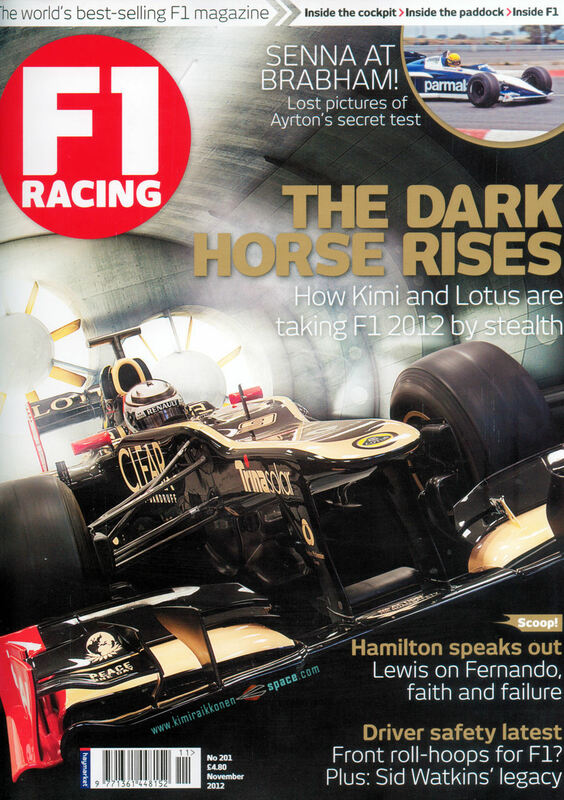 F1 Racing’s November 2012 issue, “The Dark Horse Rises”, on Lotus’ E20 and Kimi. 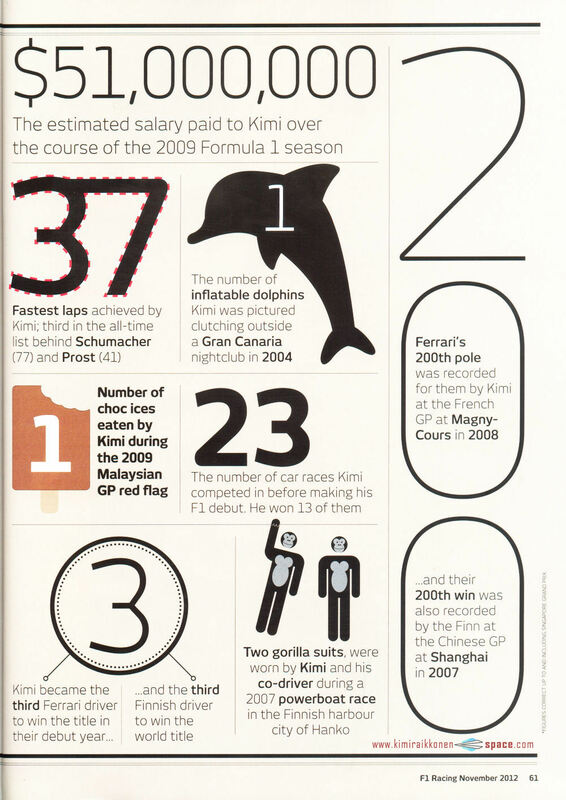 F1 Racing proudly presents the life and times of the sport’s most taciturn choc-ice aficionado…in numbers. Enjoy! excellent! 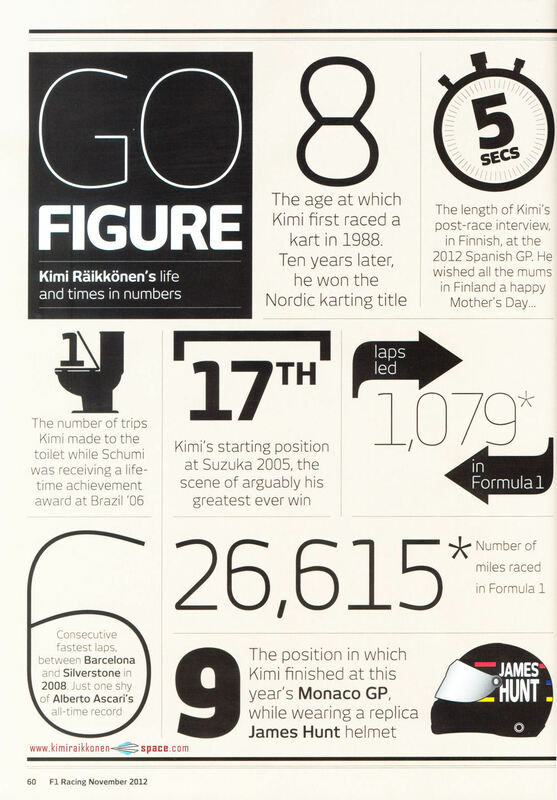 totally sums up kimi! Have a look at 33 reaction quotes by Kimi Raikkonen. Next Kimi’s birthday: join in the party!